Alexander Nissen was called to the Bar in 1985 and became a Queen’s Counsel in 2006. 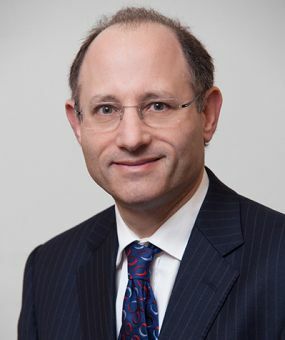 He specialises in advocacy and advisory work, adjudication, arbitration, litigation and the mediation of construction, engineering, energy and professional negligence disputes. Alexander’s practice covers a wide variety of cases ranging from client/developer claims, PFI disputes, and adjudication enforcement to professional negligence cases (architects, surveyors, valuers, solicitors and civil, structural and geotechnical engineers). He deals with both contractors’ and sub-contractors’ claims and defects disputes. His work also covers rail projects, disputes relating to bonds (both domestic and international), power stations and oil and gas projects. Alexander is a Chartered Arbitrator, an accredited adjudicator and mediator. His arbitration work covers both domestic and international disputes. He has been appointed both through party selection and by the International Chamber of Commerce in Paris. He was appointed as a Recorder in 2007 and as a Deputy High Court Judge in 2013, now authorised to sit in the TCC. Advised energy services supplier in relation to contract for the provision of heating and cooling services to the Olympic Park and neighbouring shopping centre. Acted in adjudication in respect of a £22m claim for failure to serve Pay Less Notice. (Grove Developments v Balfour Beatty). Acted in £15m adjudication in respect of a disputed Side Agreement to a JCT Contract. expense for the construction of a prestigious hotel. Advised in relation to claims for extensions of time on a hotel project in the Caribbean. Acted in litigation in respect of the egal effect of expert determination clause. premises (claim circa £130m). (Accolade Wines Ltd v Volkerfitzpatrick and ors.). against the contractor (claim circa £35m). (Rendlesham Estates plc v Barr  BLR 37). Advised contractor in relation to liability following extensive fire in local authority tower block (£30m). Advised Hospital Trust in respect of £10m defects claim against Project Co. Advised Project Co in respect of Unavailability Dispute on a significant public building. Advised on Notice of Default in respect of Project Agreement for the provision of Waste Management Services. Advised on breach of performance standards and reporting obligations in respect of contract for the provision of Waste Management Services. Acted for Project Co in respect of dispute concerning Unavailability at school premises caused by an alleged design and construction defect. Acted in adjudication in dispute over provision of catering services at PFI hospital. Dispute over scope of responsibility for maintenance services in relation to a hospital. Payment and termination dispute in relation to the provision of facilities management services at various healthcare facilities, leading to a series of multiple adjudications. Dispute over calculation of payment due in relation to a contract for the provisional of operational and maintenance services at a hospital. Acted for client in respect of TCC proceedings for negligent design of forecourt at vehicle servicing depot. multiple properties at a housing estate. Acted for client in respect of claim for negligent roof design of new University building. In litigation, acted for consultant sued in respect of design of a road (£12m). In litigation, acted for client in respect of negligent valuation / certification claims against project manager and QS. In litigation, acted for civil engineer sued for £6m in respect of claim for defectively designed commercial premises which were the subject of heave. In arbitration proceedings, acted for contractor/designer on design and build project in which the client sued for the cost of demolishing and rebuilding industrial premises due to settlement conditions. Subsequently acted for contractor in passing on claim to the structural engineers in proceedings before the TCC. Advised client in respect of arbitration claim concerning plant designed and constructed under I Chem E contract. Acted for subcontractor in arbitration proceedings in relation to £16m final account claim for civil engineering works at power station. Acted for company engaged in commercial exploitation of natural gas produced at landfill site in relation to proposed claim circa £20m. Acted for contractor in respect of claim for installation of wind turbines in Scotland. Acted for contractor in respect of arbitration claims for work done at mineral sands extraction process plant and associated sub-station works in Mozambique. Acted for employer on £2m adjudication dispute relating to the installation of a gas pipeline. Acted for contractor in respect of dispute concerning the installation of an energy from waste facility, including claim for £16m liquidated damages. Acted for contractor in respect of dispute concerning conversion of wood to energy plant. Acted for contractor in TCC litigation concerning £4.5m claim in respect of the design and construction of a petroleum complex in Qatar. Acted for contractor in respect of loss and expense claim for work done at a power station. Acted for contractor in ICC arbitration claim relating to a power station in the Far East. The dispute concerned claims for additional costs, extensions of time and defective work. Value of US$100m. Acted for subsea services provider in respect of claim for accidental damage costs of £15m. Acted for Korean shipbuilder in connection with claim for delay relating to a semi submersible drilling rig ($100m). Acted for party in connection with late delivery of vessel for use in North Sea. Acted for party in connection with claims (value circa £100m) under EPC contract for delivery of topsides, process and utility equipment. Acted for party in connection with diving services contract in North Sea. Acted in a matter regarding the installation, commissioning and post delivery of the two main propulsion thrusters fitted to a cable repair vessel. As Deputy High Court Judge in the TCC in respect of professional negligence claim concerning the scope of contractual and tortious duties (Burgess v Lejonvarn  TCLR 3,  164 Con LR 165 and  All ER (D) 132). Appointed by the ICC in respect of a dispute over fees for services relating to a project for the construction of a road in Qatar. associated claims on a pipework project in the Caribbean. Appointed as party nominated arbitrator on ICC arbitration in respect of a US $100m dispute over the construction of a hotel in Azerbaijan. Appointed as party nominated arbitrator on ICC arbitration in respect of a dispute over the price for supply of gas supplied by Swiss Company to Italian purchaser. Appointed as party nominated arbitrator on DIAC arbitration in respect of late completion of a substantial development project. Appointed as party nominated arbitrator on DIAC arbitration in respect of dispute concerning termination, extensions of time and costs of major City Expansion Scheme. Appointed as sole arbitrator by the ICC in respect of a dispute concerning termination of a shareholder’s agreement in Nigeria. Appointed as arbitrator by Supreme Court of Turks and Caicos to determine dispute between contractor and hotel developer in Turks and Caicos. Appointed as sole arbitrator by the ICC in connection with a dispute concerning the audit of records on a project for the production and delivery of two off-shore production structures, production decks and related equipment in the Black Sea. Appointed by the parties as sole arbitrator in a £14m dispute relating to design manufacture, delivery, erection and commissioning of a bio diesel and glycerine production plant. Appointed as sole arbitrator by the ICC for a US$6m claim and counterclaim between international parties relating to a road building project in East Africa. Appointed as sole arbitrator on a JCT Arbitration between a contractor and hotelier relating to refurbishment works at a hotel. Appointed by parties as adjudicator in relation to a dispute over the value of an additional works claim for maintenance and repair of mechanical and electrical services. Appointed by parties as adjudicator in relation to the valuation of an omission of services provided on a long term maintenance contract. Appointed by parties as international adjudicator on a dispute concerning corrosion in a substantial tank used to treat water for drinking in Qatar. Appointed as adjudicator on dispute relating to payment, extensions of time and loss and expense. Appointed by parties as adjudicator in relation to a dispute over a collision involving a tube train. Appointed as mediator in respect of a Commercial Court dispute ($25m) about the partial collapse of a beam on a semi-submersible drilling rig in Singapore. Appointed as mediator in respect of TCC litigation over the outcome of a profit share agreement on two development schemes. Appointed as adjudicator by the parties in a dispute over variation claim in relation to a community school PFI project. Appointed as adjudicator by the parties in a dispute over termination in relation to a PFI contract for the design, construction and maintenance of new accommodation for the kennelling of military dogs. Appointed as adjudicator by the parties in a dispute over compensation event claim in relation to contract for the demolition and new build or refurbishment of sheltered and warden supported properties under a PFI contract. Appointed as adjudicator by the parties in a dispute over deductions made by an Authority in relation to contract for the demolition and new build or refurbishment of sheltered and warden supported properties under a PFI contract. Appointed as adjudicator by the parties in a dispute over further deductions made by an Authority in relation to drainage at sheltered and warden supported properties under a PFI Contract. Appointed as adjudicator by the parties in a dispute over scope of contractual obligations arising out of Project Agreement for the demolition and new build or refurbishment of schools pursuant to the BSF initiative (PFI contract). Appointed as adjudicator by the parties in a dispute over a Compensation Event pursuant to a contract concerning a flood prevention scheme in Scotland. "He has good judgement, is good strategically and is very responsive. A first-class lawyer who I trust with high-value legal problems." "Absolutely exceptional and phenomenally bright." "Pragmatic and has unrivalled experience of playing a key role in major multiparty TCC litigation." "Alexander is superb. He has a cool head, a quick brain and an easy manner. We trust him with some of our most difficult and complex work and he delivers every time." "A very careful, thoughtful and steely advocate who is always extremely well prepared." Keating on Construction Contracts 10th edition contributor (2016). Role of the Expert Witness Alexander Nissen QC, (11 February 2008). Contributor, Keating on Construction Contracts – Eighth Edition (2006), Ninth Edition (2012) and Tenth Edition (2016). Editorial team, Keating on Building Contracts 5th, 6th and 7th editions including supplement to 7th edition. Associate Editor of Construction Law Yearbook (1995 – 2000). Article: Construction Law Journal (2003). Alexander enjoys theatre and watching (but not playing) tennis.